Easily my favorite indie guitar pop record in the past decade, the Brooklyn-based indie pop band’s self-titled album is one of the catchiest collections of pop gems in recent years. The four-piece pop rockers showcase early in their career their peerless ability to excel at crafting tunes that are instantly appealing and resonant at the same time. Founding members Jonathan Pierce and Jacob Graham came up with the concept for The Drums in 2008. They then moved to Brooklyn, New York, in the spring of 2009, where drummer Connor Hanwick and guitarist Adam Kessler joined the band to complete their live sound. The band had their first gig within a week of arriving in Brooklyn at Cake Shop NYC as part of the NYC Pop Fest. Those who have had the opportunity to see the band perform live can attest to lead singer Pierce’s oddly infectious robotic dancing. The band’s approach to song-writing comes off like a contemplative thought stream of someone who cares little about being groundbreaking or cool. The band flaunts a welcomed appreciation for surf pop. And it juxtaposes well with the emo lyrics that make the album so much more dynamic than other acts of the indie pop/surf genre. “The Drums” opens with the line, “You were my best friend, but then you died,” in a song (called Best Friend) about losing a friend. Thematically, the band ranges from songs of heart-ache in “It Will All End In Tears” to fun surf pop in “Let’s Go Surfing.” It’s difficult to peg the band that is focused on being either mindlessly appealing or poignant in their originally. 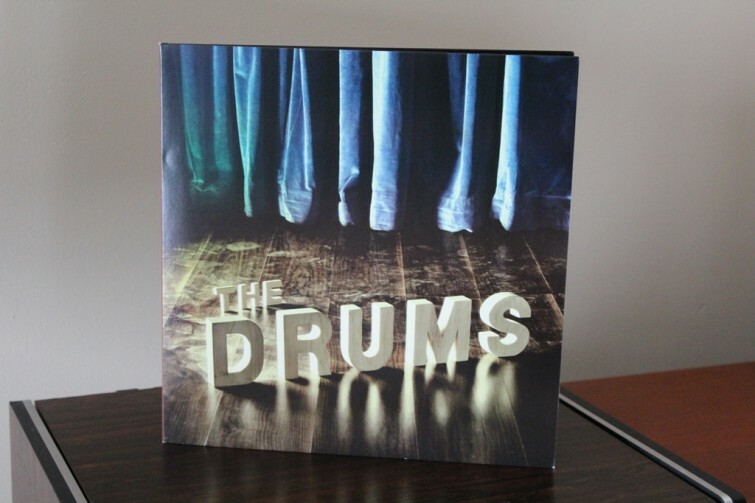 The Drum’s debut album lies somewhere in between and manages to be both pleasantly derivative and uncommonly fresh in melody and lyrics. The album’s ability to provoke feelings of tranquility and foot-tapping pop sensibility is hard to compare to other musical acts of this decade or of previous. The Drums’ continued success was a bit uneven. Their sophomore album Portamento (2011) provided more of the same great pop tunes that you might expect. But their third album, Encyclopedia (2014) was an exhausting mess that made me lower my expectations of the band entirely. But after the greatness of the debut album, it’s hard to not be optimistic about the future of The Drums. You can download the album or buy it on audio CD or vinyl right here.